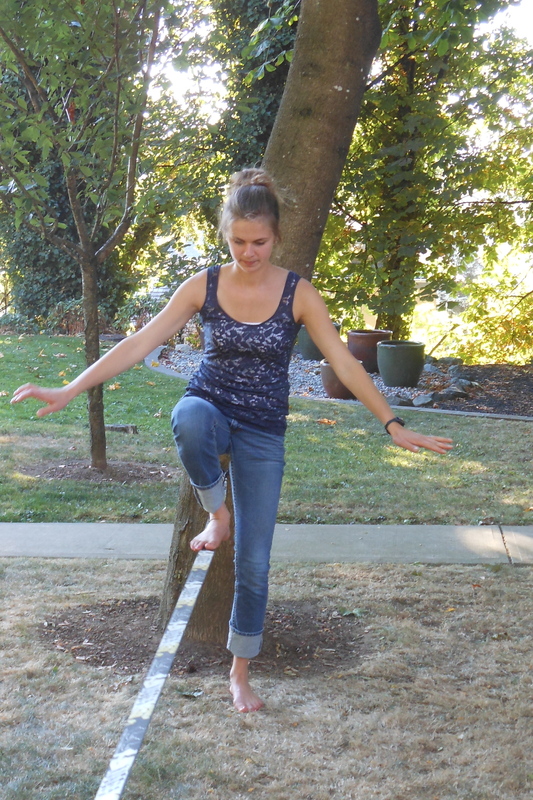 Sauerkraut, Slacklining, and So Much More! Anyways, I have a lot to tell ya’ll, and not enough of it will be captured here but another snippet is better than nothing. One of the thing’s I’ve been learning about and trying to be more aware of and open to is the whole idea of try something new. I tried a lot of new things when I moved to Princeton, and I’ve been challenging myself to keep the streak as life continues and I find myself in a lot of new places as each chapter unfolds. The lovely Joanna giving the slackline a try! but aside from shoving his gear over whenever I needed trunk space in the old red jetta, my interaction with the whole slacklining thing has been pretty slim. At Uvic it was totally ‘all the rage’, and I’ve seen some pretty crazy feats captured at the Banff Mountain Film Festival but I’m not one to be enticed by adrenaline or popularity so it’s taken me this long to give it a shot. However, last night I finally took the leap. Er, step. Anyways it was fun. Ben and a certain young Mr. Howarth: Be Proud. I look up to you both in the slacklining world. So that was last night. This morning? Sauerkraut! It was a dangerous decision, I know. The possibility of compromising the exquisite flavour of a prime hot dog made me hesitant. The whole hot-dog experience was at risk! 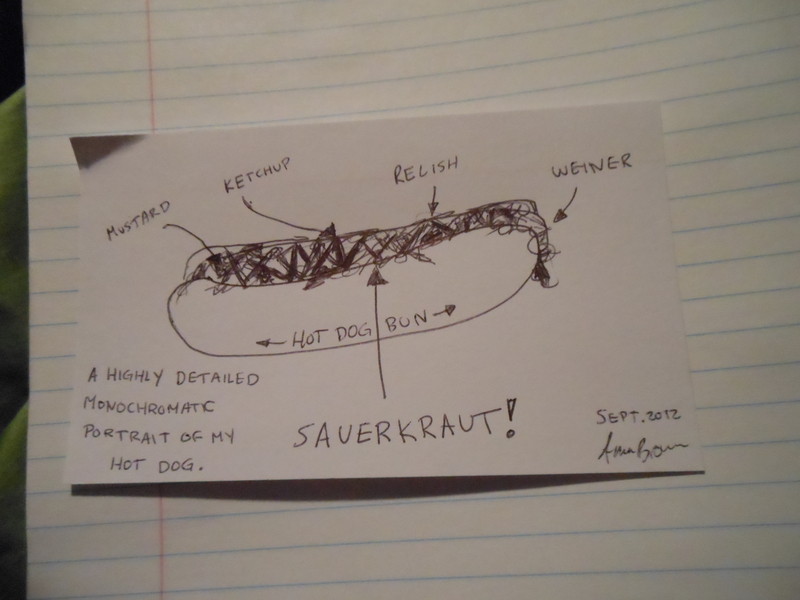 As a member of my hot-dog-roasting family and a seasoned camp kid, I know better than to jeopardize a good ol’ hotdog. Sometimes it’s worth the risk. Turns out, sauerkraut is simply scrumptious. Thanks Justin, for the introduction! I forgot to take a picture. I drew you one to make up for it. The last try-something-new thing is my favourite. Mostly because it’s incredibly out there. I warn you – this is like, knock-your-socks-off incredible, do a double-take, SERIOUSLY out on a limb. SNUGGLED! Did you catch that? Seriously. I’m being stretched. I could try and connect this to something spiritually deep or philosophical, and I honestly have some good thoughts on that too, but I don’t really want to right now. Full days of learning make for an appreciation of light blog posts on my part. Sorry about that. I’ll try to balance the flippant with the fulfilling as time goes on. Socks. No better place to bond than an afternoon at the laundromat, sorting socks and claiming your tshirts with 4 other gals on the Trek program! Singing. Worship sessions every Wednesday morning. They’re wonderful. Stanley Park. A lovely Saturday afternoon was spent strolling around downtown Vancouver and Stanley Park before taking snapshots for a photo scavenger hunt on Granville Island. Serenity. It’s a peaceful environment here at the MARK Centre. Shady and cool in this unusually hot weather, but sunny and full of vegetation and quiet nooks to sit and enjoy God or contemplate life. Sidewalks. Often we all walk down the hill to a nearby church to have a session there. It’s nice to get outside and go somewhere different and enjoy a good ten-minute conversation with one of your teammates. Silence. Less than 48 hours before our 48-hour silent retreat! This week we’re learning all about Hearing God’s Voice and at the end of the week we’ll be having our own personal retreats. Just me, my journal, Bible and my God. No music, phones, facebook, or anything. We start tomorrow after lunch. Even though I suspect silent meals may be a bit awkward at first, I’m really looking forward to this time. Scripture. Sleeping Bag. Sunshine. Skype. 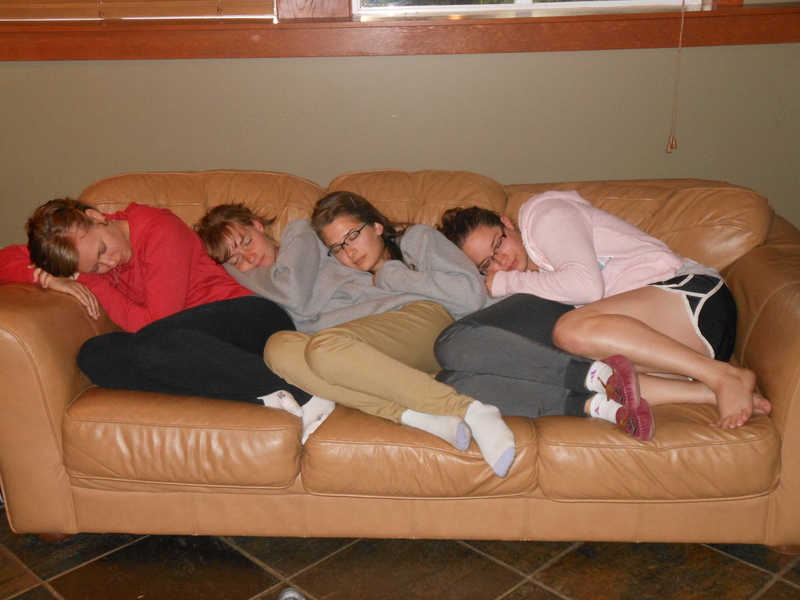 I think that the silent retreat is pretty radical, but mostly in our culture. When my brother worked up North as a missionary, he took it upon himself to fill all the dead air with the people he was visiting, and finally, and elder told him that in their culture, sometimes they just enjoyed each other’s presence, and you didn’t have to communicate non-stop. Radical. And my daughter Kyla, when she spent time at a Buddhist lady monastery(? Nunnery?) anyway, they practise silence/meditation a LOT. It is a ‘Christian’ practise that they are far more disciplined to do then we are. 1. I LOVE the Costco foodcourt. 2. Not brave enough for kimchee yet! 4. Keep the comments coming! I’m lovin’em! Love it all!…. keep trying new things!!!!….. I haven’t stopped yet….. am in my first opera this weekend…. do snugglers snore softly?… or musically? An opera! Cool beans! I went to an opera in Moscow once – I understood only one word – niet – but it was incredible nonetheless! I’m sure you’ll have a blast! I thought I replied to this ages ago! I guess I didn’t. Now it’s late, and I am tired. So here – three words in response… I like you. Perhaps you’ll get a smart comeback reply one day.